I would say the S-Video isn't processed but the DVI is with almost absolute certainty just based on what my eyes tell me, its a nice clean S-Video signal that a good video processor can do a lot with. Sounds good! Looking forward to testing it out. So this XBR950 head unit has Super Fine Pitch mode? It'd be nice to be able to get this unit to do the same proper upscale that the SFP sets do. Even though my 960 is currently out with the power chip issue I use my local CL find xs955 every day even though the hdmi input is shot the other inputs work perfectly-and all 4:3 content is native! Watching CAV discs on that set can make you drool especially if they're 4:3. I ran the CAV Singin' in the Rain and felt as if you could fall into the image. I received my XBR900L today and for some reason when I push the input button it skips inputs 1, 2 and 3 = composite. All the manual says is press tv/video on the remote to cycle through the inputs. Does your box cycle from tv to video 6 when you push the button? You have to “rename” the inputs to turn them active. These TVs have so many inputs is a chore to cycle through the ones you don’t need so you can turn them off. Is that possible with just the unit and not the display? That I don’t know. Can you access the menu? It’s a standard Sony TV thing. The box doesn’t have a menu button nor does it have an IR receiver. So it seems I have a nice paperweight on my hands. The 900 is outputting correct AR combed 480i over S-Video with an amazing picture. Issue with this one is no front panel controls so I can't get into the menu (nothing I program my Harmony with works). 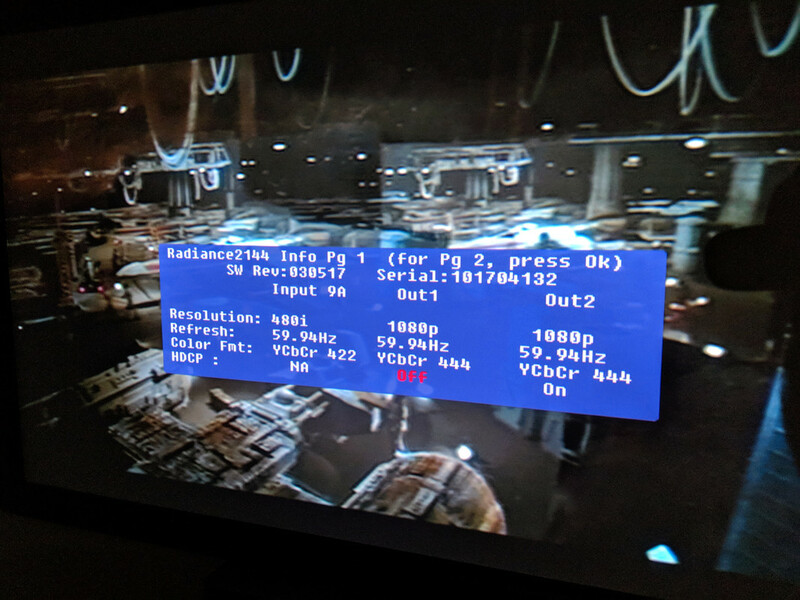 I haven't been able to access the menu while using only a composite in with the S-Video out on the 900L, so I don't think you can play with the settings at all from that output. That being said, I am so glad you were able to find the 900L with this output. Finally! A device with a Sony XBR 3D comb filter I can use as a pass through! This is perfect for video capture as outside of the now almost obsolete ATI All-In-One PCIe 750 (since it doesn't seem to be supported above Windows 7) most capture card comb filters are crap.